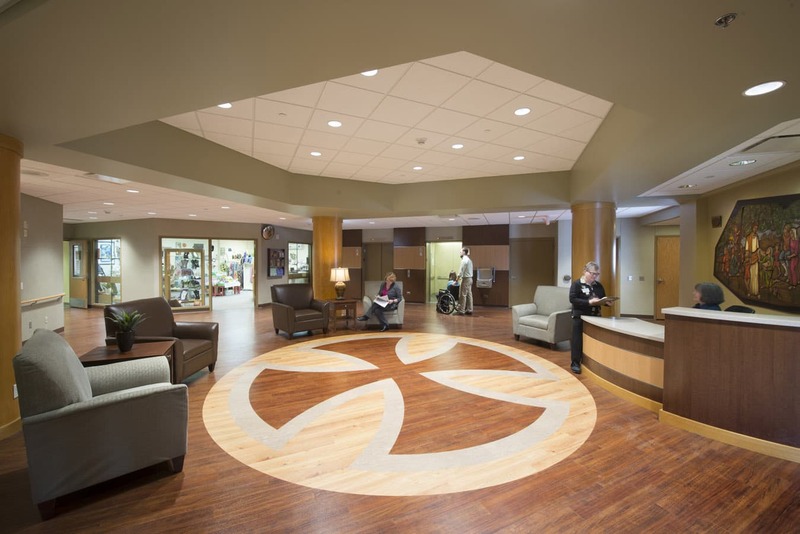 The short-term inpatient rehabilitation facility for Benedictine Healthcare in Duluth addresses the physical, spiritual and emotional needs of patients. 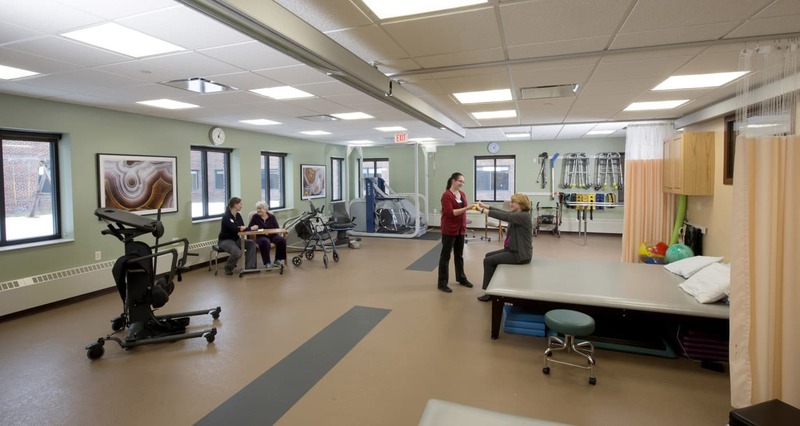 People recovering from a serious car accident or a broken hip may never regain all of their former abilities. The challenge is to help them accept and adapt to this change. 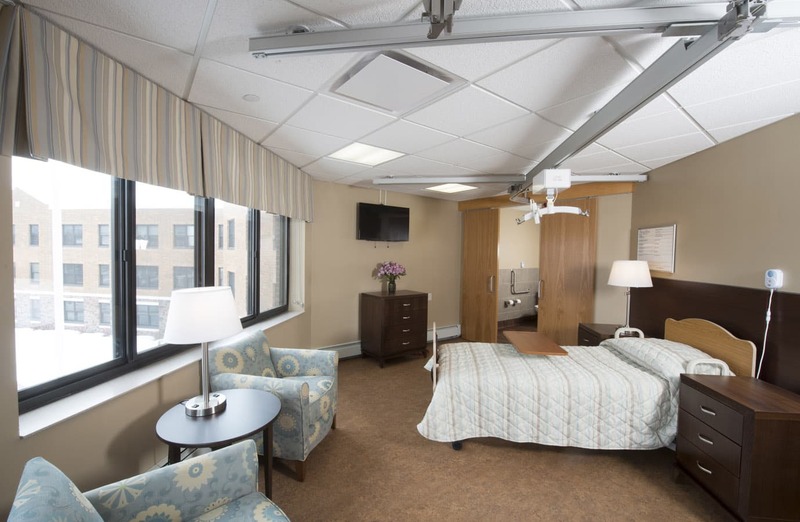 Short-term rehab patients and their families need choices in privacy and sociability—quiet serene spaces to spend time as a family and public settings where they can socialize with other patients, visitors and staff. 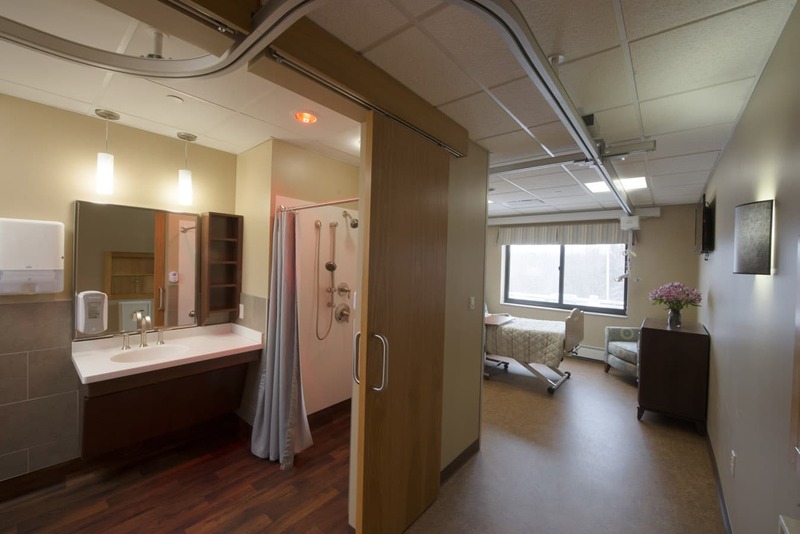 In response, existing double rooms were converted to 30 private patient rooms, each with its own bathroom that are designed as places to practice skills such as using a wheelchair or walker. 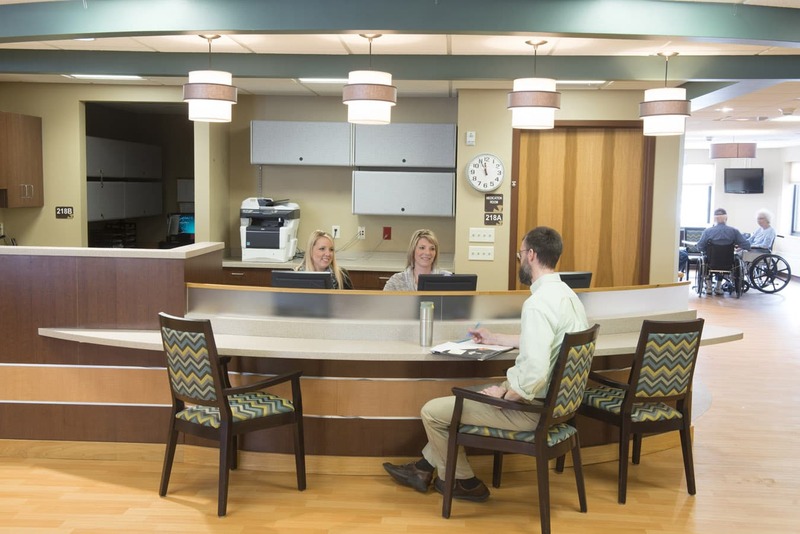 The nurse station is designed to encourage patient interaction with staff in a comfortable setting. 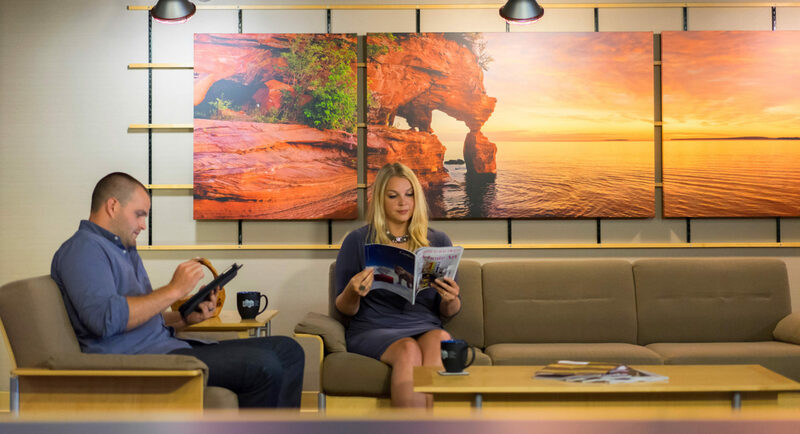 Sitting down at the nurse’s station can be important for patients’ social experience. 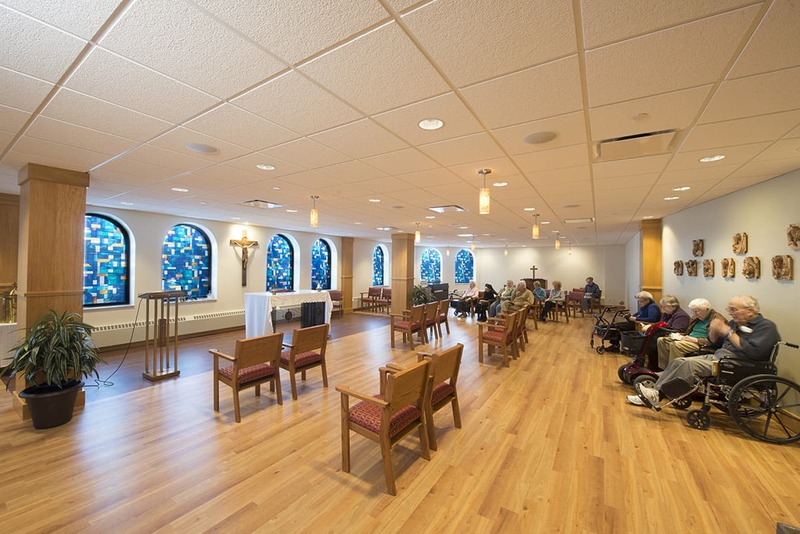 The counter is set at a level so that patients can pull up in their wheelchairs and talk eye-to-eye with nurses and other staff, including the Benedictine Sisters.